Acting against police "indifference" towards bootleggers in Surendranagar, a district town situated about 130 kilometres west of Ahmedabad, the Gujarat Information Commission (GIC) has passed an order for furnishing information regarding number of cases registered and action taken by the cops against a bootlegger, who allegedly murdered a right to information (RTI) activist on June 15. The GIC, which is the statutory watchdog for RTI in Gujarat, said in its order that the police must provide information about the cases against the bootlegger in its in past 4 years, and if actions were not been taken then, what was the reason. One June 15, Shaileshbhai Patel filed RTI application with the office of the district superintendent of police (DSP), Surendrangar, seeking information about the FIRs lodged against the bootlegger and action taken regarding the same. Information about his application is said to have been leaked, and on the same night, he was called by the local crime branch (LCB), where the bootlegger (regarding whom, Shaileshbahi had sought information) was present. 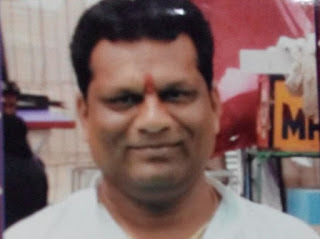 While it is not known what happened at the LCB, on the same day night, Shaileshbhai, who was also a local journalist, was brutally beaten up and murdered (click HERE). Shaileshbhai's elder brother Dilipbhai Patel filed a complaint under section 18 of the RTI Act with the GIC on June 19, where he said that since his younger brother (applicant for the information) was no more, the police department might choose not to respond to the RTI query on the bootlegger. But since it was a matter of larger public interest, information should be furnished, he requested. Taking cognizance of the plea, Chief Information Commission Balwant Singh passed an order that information sought by the deceased should be furnished within seven days of the receipt of the order. The police has also been asked to submit a compliance report for the same. Despite the GIC order, which was passed on June 30, Dilipbhai, when contacted, said till date he has not received any information he had sought on behalf of his brother. Meanwhile, serious questions are being raised about the efficiency of the police department in taking action against the bootlegger even after receiving intimation regarding their illegal liquor trading. “We will again move to GIC if information is not given to us”, said one of family members of the deceased RTI activist. “Police have failed to act against such anti-social elements. Had they taken proper action, when required, Shaileshbhai would have been alive,”, they added. “Disclosure of information is the best protection that system can give to information seeker, provided they have intentions of disclosing the same and not hiding it from people” He added. Meanwhile, information coming in from other states says that RTI applicants were recently filed in Maharastra and Andhra Pradesh. Just like what happened in Surendranagar, those who were seeking information regarding action taken by police against bootleggers have still not received any reply. And, like in Surendranagar, their RTI applications have been transferred to the respective city police stations.